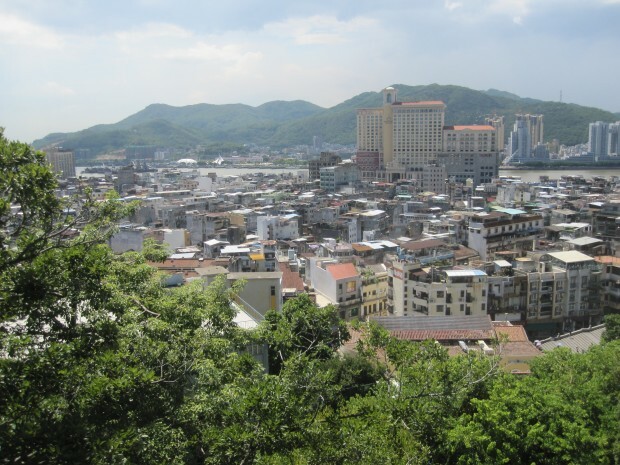 When I was in Hong Kong recently, I saw a lot of promotion for a place I had only heard briefly about, Macau. What I saw were billboards for casino names I knew from the states like Sands and MGM, but what caught my eye were pictures of colonial Portuguese neighborhoods and foods that looked more in place in Lisbon rather than across the world smack dab in the middle of Asia. Macau is a semi-autonomous city-state that’s part of the PRC (People’s Republic of China) and the only one besides Hong Kong. This Asian sin city lies just a little over an hour from Hong Kong via fast ferry, but you need to bring your passport and go through customs as it’s “technically” another country, at least for us westerners. 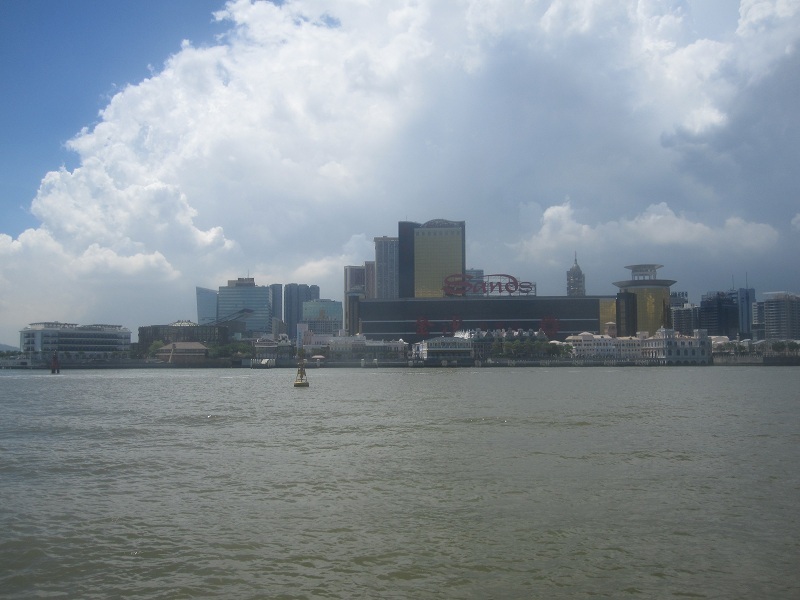 When pulling into the Macau Harbor, I was pretty impressed by what I saw, Vegas-style hotels, old buildings, and, plenty of mainland Chinese foaming at the mouth, itching to piss away their hard-earned Yen (The currency in Macau is actually the Hong Kong Dollar though). 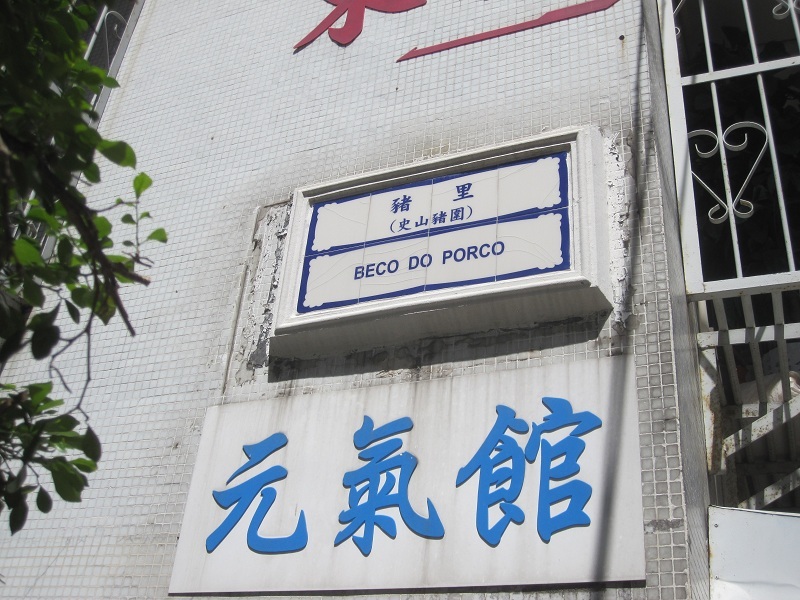 While I was interested in what Macau was all about (which will inevitably lead me into a casino or two), I was more there to see more of how it all came about, and that story began with the Portuguese. The sardine-sucking Portuguese had been trading in and around Macau for hundreds of years, and way back in 1550 they set up a port, one that the Chinese Empire leased to them. The Portuguese operated under Chinese authority and sovereignty until 1887 when they received full control of the city-state. It wasn’t until 1999 that they handed it back over to the PRC (the last European colony in Asia to do so). 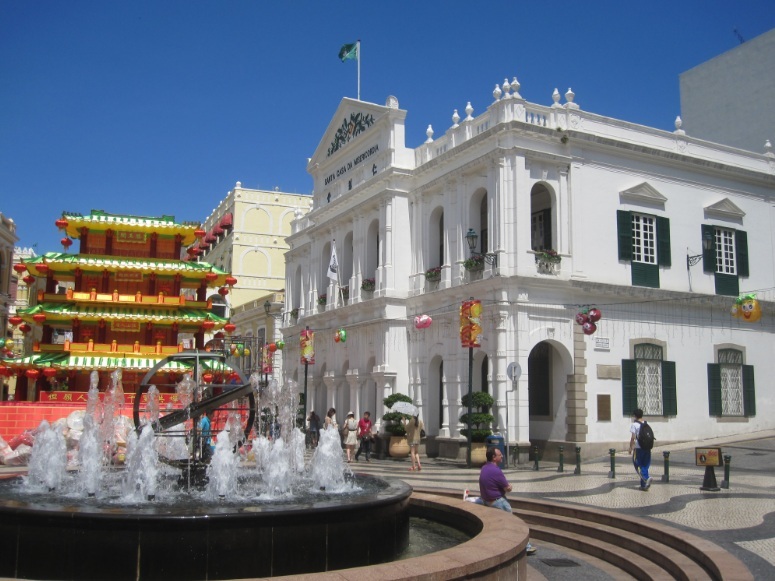 The people of Macau spoke a unique patua called Macanese or Macau Creole, but as of recently, less and less people are using (and learning) the language. The city has a very unique vibe with small winding roads and street signs in both Cantonese and Portuguese that made for confusion whether I was in Old Lisbon or China at some points. Macau is a cool place for a day to just get lost walking around, checking out the architecture, eating some interesting Portuguese influenced Chinese foods and maybe just dumping a few bucks atthe black jack table, especially at the ultra-impressive, luxury Hotel Lisboa (gold building pictured below. If you’re considering China tours, Macau is definitely worth a visit. 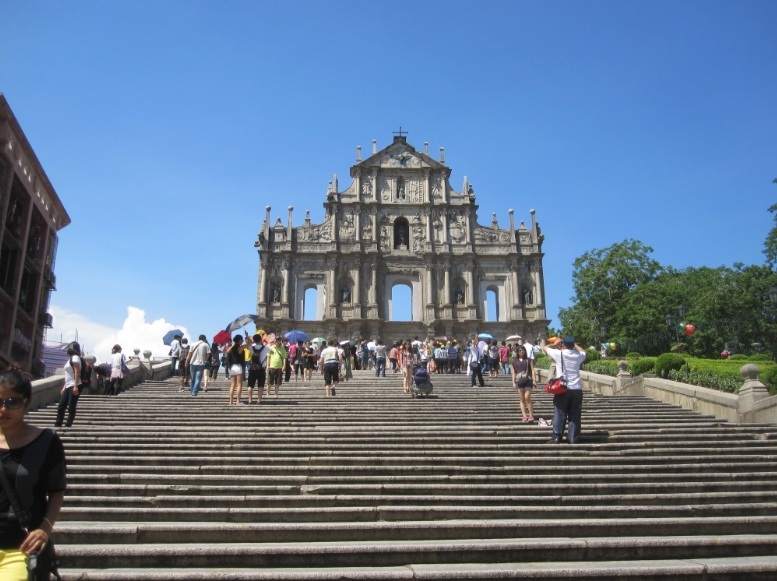 Check out some of my other photos of around Macau! 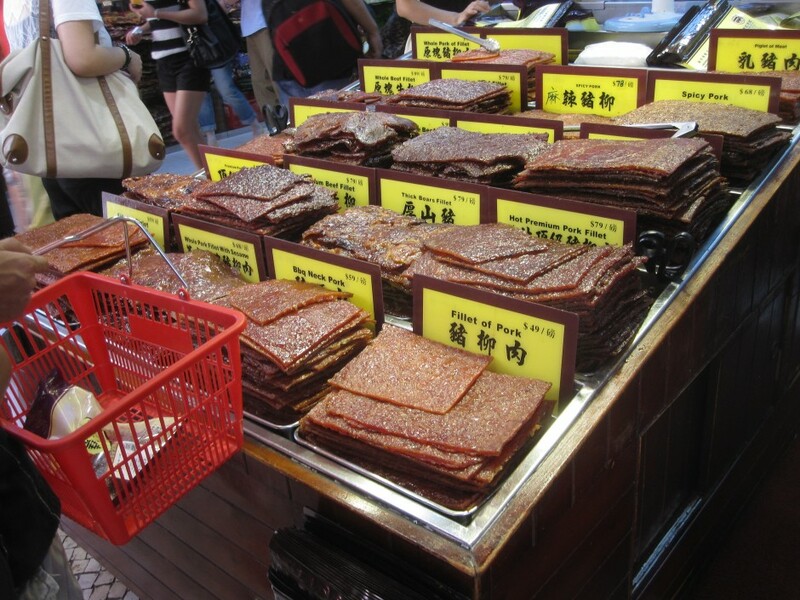 Macau version of beef Jerky, it was sold everywhere! Posted in Luxury Travel, Macau and tagged with Architecture, China, colonial, Luxury Hotel, Luxury Hotels, Macau. RSS 2.0 feed. 9 Responses to China’s Coolest City – Macau! Haha thanks for the comment Eric. Like I said, I was only there for half a day so I only had time to stay on the more “tourist” trail and a bit of wandering around the neighborhoods, but I still thought it was cool in what it actually is and where it came from, not that I could sip lattes in a tree-shaded square and say, “hmmm this place is nice”. 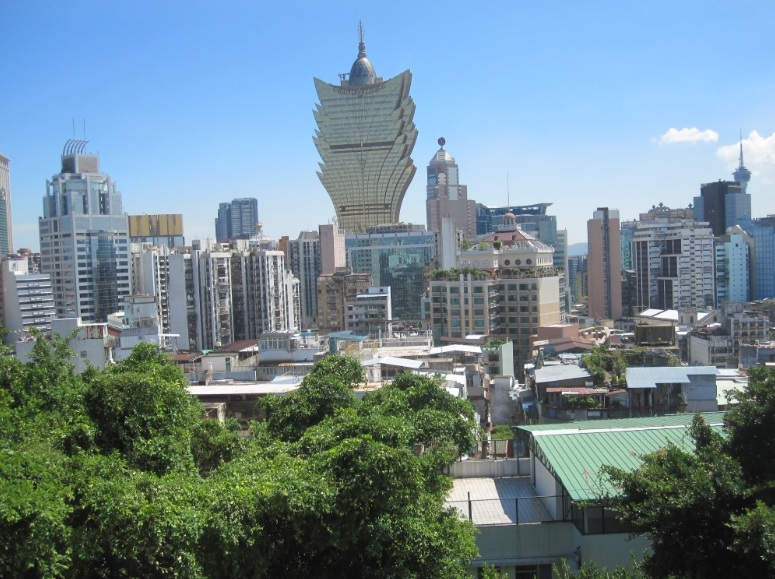 I’ve always been curious about Macau (we’re not really gamblers but don’t mind a night or two at the casino when travelling) – looks like an interesting place aside from that! I’m no slick willy on the tables myself, but it’s definitely a cool place to check out for a day or two, especially if you’re going to be in Hong Kong. Wow that must have been amazing! Living history. Any suggestion where we can get a hostel in Macau? We want to roam around the city, so there is no point of getting a luxury hotel. I only went there for the day from Hong Kong so I can’t make any personal recs, but I’m sure there are hostels.